Tonight’s episode of Love & Hip Hop will be packed full of drama that you won’t want miss. Don’t forget to bookmark this spot and head over for our Love & Hip Hop recap tonight at 8PM – 9PM ET! While you wait for our recap of Love & Hip Hop, don’t forget to check out all our L&HHH recaps, spoilers, news & more! 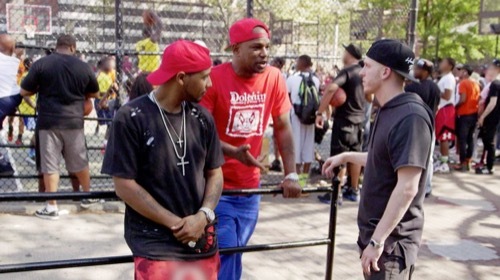 Tonight’s Love & Hip Hop recap begins now – Refresh Page often to get the most current updates! Rich and Peter meet up at the car show to talk about the situation with Cisco. Rich is not happy. He doesn’t want to talk about Cisco. He says “I don’t want to keep going back to this situation again and again. Cisco has shoved me in a bar and we have come to blows.” Peter tells him “Cisco finally broke it down to me and told me that he was losing his mother.” Rich says “Cisco is always going through something. I don’t want to deal with it anymore.” Peter says “You should say if Peter is willing to sit down with this guy then I am willing to sit down and talk with this guy.” Rich is not hearing that. J and Snoop meet up to discuss what happened at the launch party for the record label. Snoop tells her “I don’t think we should be business partners anymore.” J is really angry when she hears this. She tells Snoop “I don’t know why you act like this. We have both done things that are wrong, but I was trying to make it right.” All of a sudden J gets fed up and walks away. Rich and Cisco meet up to try and hash out their issues. Cisco asks “Are you mad at me Rich Dollaz?” Rich tells him “Yeah, I am mad at you. I have been mad at you for a very long time.” Cisco tells him “You don’t know what I have been going through. I know I have done you wrong and I am coming to you like a man trying to apologize, but don’t you judge me when you have done wrong too.” Rich says “I just want my friend back. We have women coming between us and it is just crazy.” Cisco agrees and tries to hug him. Rich is sad and hugs Cisco, but he is still angry and he storms away. Self tries to cool things off between Mariah and Major. Almost immediately the two women are at each other. Self has to step in and separate them. Once he sits them down he asks them “How did Cisco get in the middle of this again?” Major tells Self “Cisco is my friend and I invited him to help me. He started telling me about how he helped Mariah Lynn out when she first came to town.” Mariah rolls her eyes. Self says “We all have a common enemy. I am gonna take care of bisco myself, but we all need to get on the same page in order for Gwinnin to be successful. I haven’t even made a decision about the Powerhouse pre-show yet.” Mariah says “I’m with it.” Major agrees as well.